A filthy, stinking place where there is hardly any chance for you to take a breathe of fresh air is what a slum is. I say this because of my experience of living in a slum like area before my family’s fortunes changed. A place where everything is shared from a small room to the food to the toilets to the bathing space. Shared not only with family members but sometimes with insects, ants, cockroaches etc. And Dharavi which is the Asia’s largest slum is no different. The only difference is with the people residing over there. They are oozing with bundles of joy and happiness which is depicted in this book. The book is all about Dharavi, the families residing over there since generations, with small rooms to live and a common toilet. But still people choose and continue to stay in this piece of land. They adjust to the lack of privacy, to the lack of hygiene, to the lack of progress because this is the only life they know. Dharavi apart from being the largest slum in Asia is also the workplace for most of the immigrants staying there who have migrated from small towns and villages in search of some work. It is said that it is human spirit on which Dharavi is thriving upon. In other slums, people go to work: here, they come looking for work. The first section is all about the people living in Dharavi, their way of living, their hopes and aspirations, the government’s apathy towards the development of people as well as Dharavi’s development and the hopes in the eyes of kids and children willing to learn and educate themselves for a better living. 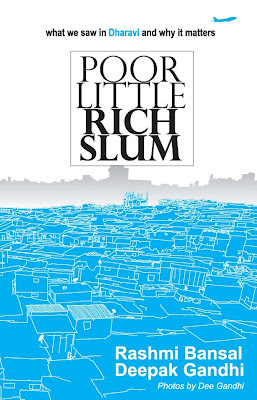 The second section is about the life of few slum dwellers residing in Dharavi. How they started living in Dharavi, what made them to think differently and how they landed up with ideas to meet their ends meet, how it started flourishing and became successful with grit,determination and hard work. There is Jameel Shah who makes dancing shoes for our superstars and many dancing competitions. Then there is Panju Swamy who runs Ayyappan Idli Stall since forty years. Then we have two young guys Fahim Vora and Tauseef Siddiqui who runs a travel agency by the name ‘Be The Local’, giving tourists a tour of Dharavi and many more rich stories of success. The third section tells us about the people and organisations of change who fight their way out for a better living for their people in Dharavi. They include social activists, social workers, musicians, NGOs, women activists and also body building trainers. The last and the final section deals with the future of Dharavi. On the one hand there are builders lobbying for the redevelopment project of Dharavi and on the other hand there are social activists arguing on what is best for Dharavi and what is not. Whereas there is government who is accused of having no political will to take a correct decision. Where do we go from here-forward or backward? You talk about development but, pray tell me, when will it happen? The presentation and layout of the book is superb with some fine photographs, apt quotations and simple and lucid language which everyone can understand. 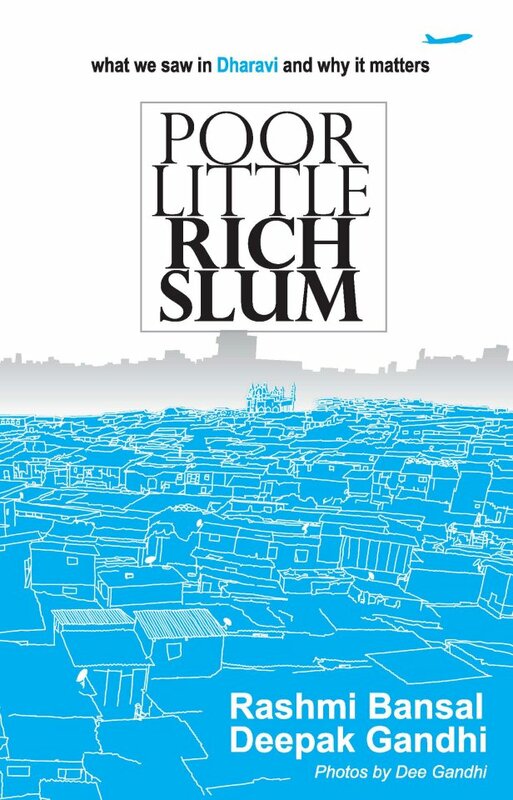 With less than 200 pages, Poor Little Rich Slum is definitely a must read for all the book lovers and especially for the first time book reader and try to be the agent of change in some way or the other.